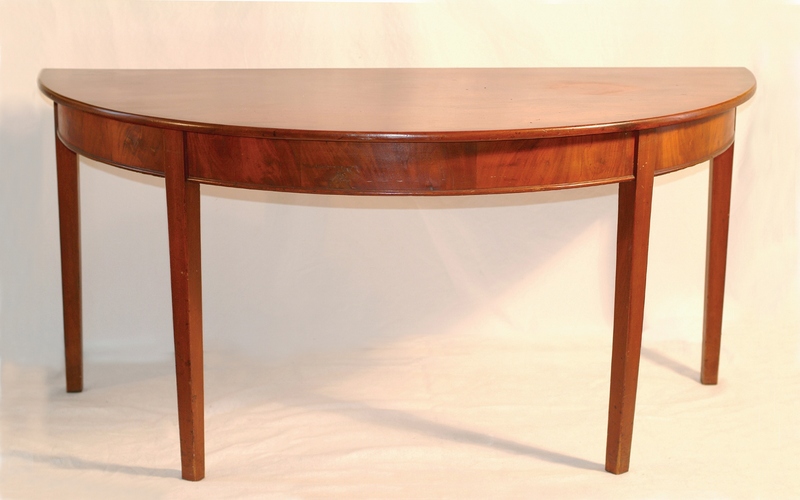 This mahogany table is one ofa pair of demi-lune tables. They originally had a rectangular center table that fitted between them to create a large dining table. It is purported to be a Knox original. 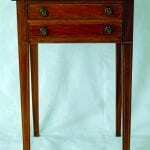 In May 1796, Knox purchased “a set of tables” from Isaac Ashton, a Philadelphia cabinetmaker. It is believed this table is part of that set. The table is severely Federal in style—there is no ornament on it at all. Donated to Montpelier from an unknown source.